Tired of searching for pickup basketball games and only finding empty courts? What about arriving just as a game ends, or worse, leaving right as one picks up? Fast-paced and busy lifestyles make it harder than ever to find a game when you need one. Luckily, two Sacramento State grads have created an app just for that. 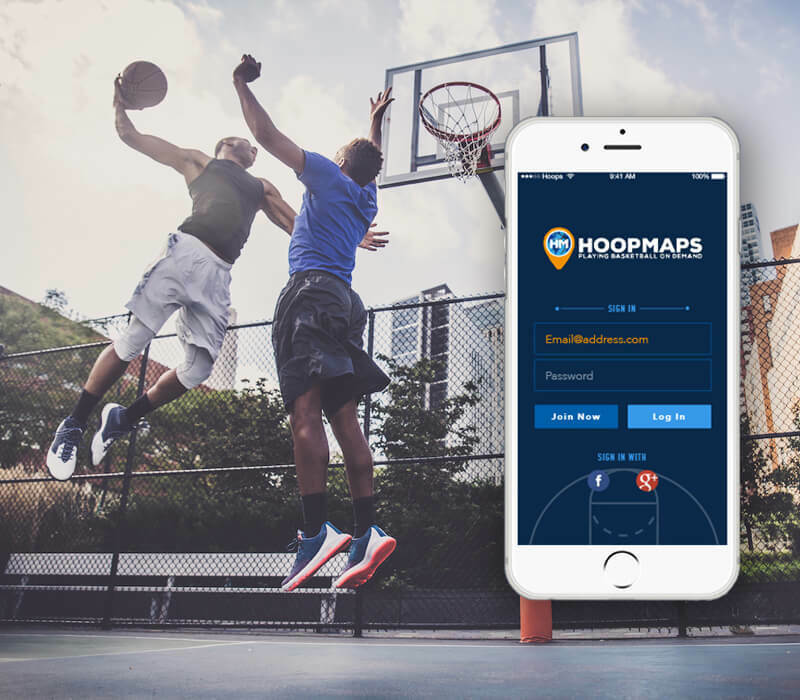 Hoopmaps is a free, straightforward, and easy to use location-based app that helps you find pickup basketball games in your area. Only available on iOS from the App Store at this time, the Android version is in the works. Create an account with an e-mail or sign in with Facebook or Google+ and see what games are nearby. Prefer to search visually? The app includes an interactive map that shows active and scheduled games as orange and blue icons respectively. Hoopmaps users can also create their own games that show when, where, and how long the game will run as well as how many players are needed. Friends and local users can join on the app or share the game via a social media link, helping to get the word out and increasing the chances of a full game. 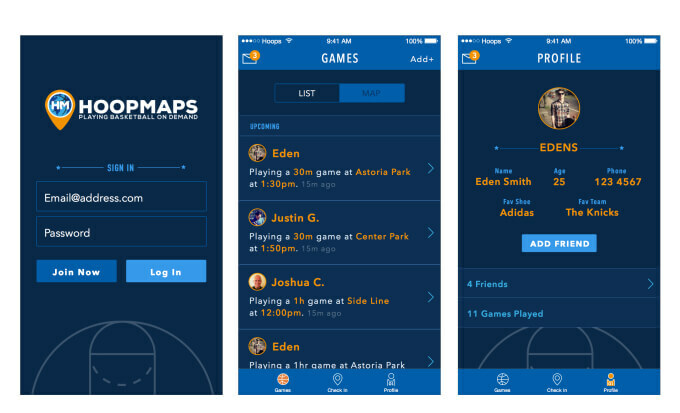 The app also lets you connect your Facebook friends, allowing you to invite them to a game from within Hoopmaps. Featured on Sports Center, ESPN, Now This, TechCrunch and more, the app helps basketball players network together and takes the guesswork out of finding games. This allows you to fit the sport you love into your busy schedule on your terms. Hoopmaps lets users create a profile, add a picture, and connect with friends or users from recent games with convenient in-app messaging. Created by Donte and Dominic Morris from Sacramento, these twin brothers were tired of searching for games and finding empty courts or playing alone. Their only option was to call or message friends and attempt to recruit enough players for a game, a time consuming method. 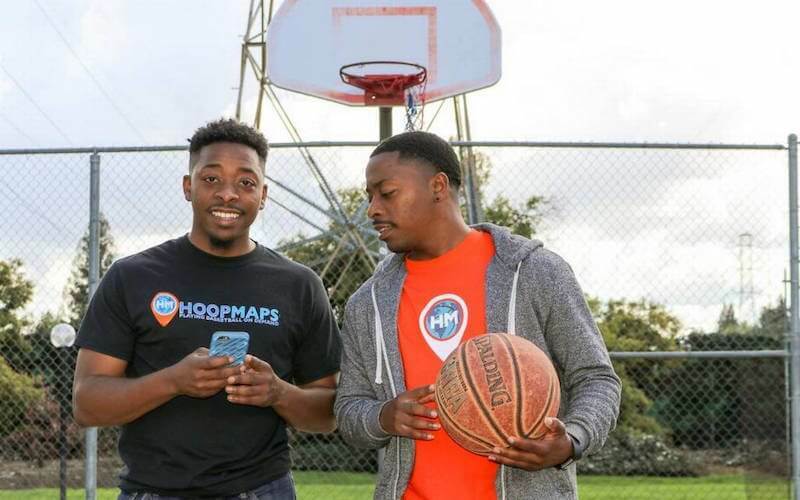 They took their business and technology backgrounds and love for basketball and created Hoopmaps to solve this problem and help players connect and organize games. They wanted users to be able to play basketball with others on demand, and they’ve done just that. With tens of thousands of downloads since June of 2016, this app is gaining support from fans worldwide. A recent #4POINTCHALLENGE competition sponsored by Hoopmaps sparked impressive submissions from users across the country and as far away as Barcelona, Spain. Increased usage can be expected when the Android version is released as well.